Calling true nature lovers! For an up-close look at ancient and rare tingle trees, take this day trip from Perth to the Valley of the Giants, located deep in southwestern Australia, 270 miles (430 km) from Perth. 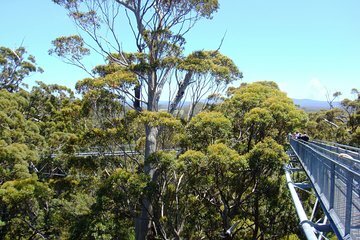 You’ll travel by coach, enjoying the picturesque Western Australian scenery on the way to the valley’s treetop walk, a 2,000-foot-long (600-meter) aerial walkway that provides amazing views of the old-growth forest.  This day trip also includes stops in Donnybrook, William Bay and Denmark. Your day trip starts as you depart Perth and head south, traveling through Blackwood River Valley, where you’ll make your first stop of the day in Donnybrook, a town known as Apple Town due to its apple and stone fruit orchards. Back on the coach, continue through a landscape of old-growth forest to see the 167-foot (51-meter) Diamond Tree bushfire watchtower, which you can climb if you’re feeling adventurous. In this peaceful bush setting, sit down to a picnic lunch and stretch your legs a bit. 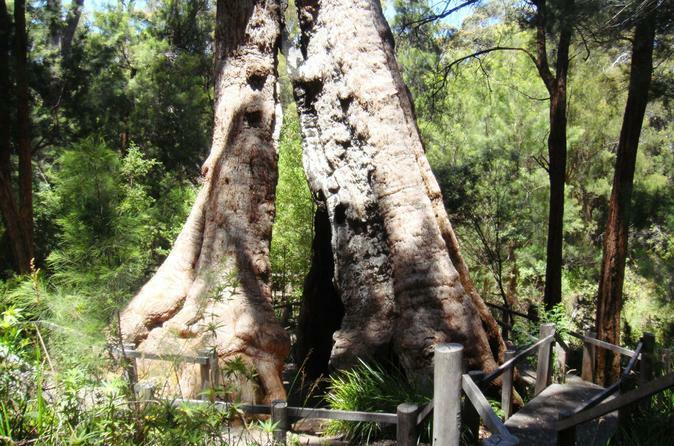 Then head into Western Australia’s Valley of the Giants, home to a forest of ancient, wide-girth tingle trees, which reach up to 16 feet (5 meters) in diameter. Fabulous views of the forest will be yours as you stroll along the treetop walk, a 2,000-foot-long elevated walkway that stands up to 130 feet (40 meters) above ground. Your day trip includes more stops at William Bay and Denmark, along the southern coast of Western Australia, before starting the long drive back to Perth; you can purchase dinner at the Kodja Place Visitor Centre (own expense) on the way. Highly recommend to you! The tour guide and driver are very nice and introduce many things to you. The tree top walk is worth to join and it is one of unforgettable experiences in your life. The whole trip was excellent - though it was a very long drive - well worth it.. The commentary / information provided / food / was good. Coach was clean. The tree top view made you feel you were on top of the world and the gentle swing on the walkway was fantastic.. It was important for me to see these rare trees, but I haven't decided yet whether it was worth all that travel time. My husband didn't go as he was "a little under the weather" - I think he would have been on the way to hospital had he continued. To tack the aboriginal centre on the end was poor - it was worth much better than this. Really enjoyed our trip. Good guide, driver and commentary. The Stops quite short due to the long drive but worth it. It took too much time to get to and from the Tree Top Walk; therefore there was not enough time to really enjoy the experience. It was also a very long coach journey. It took all day to get to the Valley of the Giants and we had about an hour to explore. Fewer unscheduled stops and a quicker departure would have given more time to explore what would have been a lovely setting. The Tree Top Walk is amazing - the views are breathtaking. However, you only get to spend an hour there, despite the fact you leave Perth at 8am and you don't get back until 11pm! It's was so rushed! I know it's a long way but I felt that this trip spent far too long on the coach. If I were to go again, I'd perhaps get a hotel nearby and spend several days exploring Southern Western Australia and all it has to offer in full. It's too far away for a realistic day-trip from Perth. Too long in the coach. No time in the little villages. For a fourteen hour day only 2.5 hours were spent off the coach.